Two new, interactive maps of the Mississippi and Missouri rivers are making a big splash with recreational boaters, paddlers and fishermen. The Mississippi River Geotourism MapGuide (http://mississippiriver.natgeotourism.com/) grew from a partnership between the U.S. Army Corps of Engineers and National Geographic Maps. 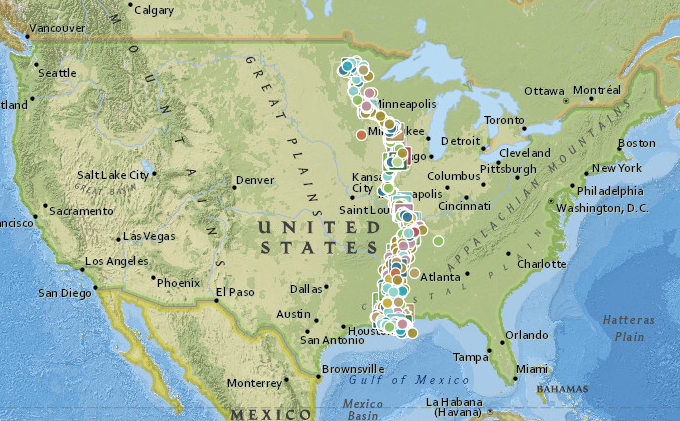 The landmark project took two and a half years to plan and execute and is a significant digital asset for everyone who visits or lives in the 10 states along the Mississippi River. Over the last 18 months, river enthusiasts have contributed almost 2,000 nominations of communities, sites, attractions, festivals, events and small businesses for inclusion on the website. Meanwhile, the Missouri River Outdoor Recreation Access Guide (http://outdoornebraska.gov/mrrecreationguide/) is a separate project that shows 164 public access sites for boating, fishing, paddling and other activities on the river’s 400-mile path along the Missouri and Nebraska borders. 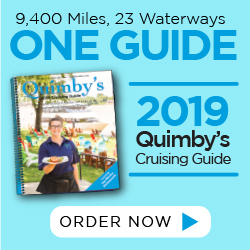 The guide is also designed as a source for navigation along the river and offer information about cities and other sites, including river mile markers and boat ramps.